This Liquid Silicone Rubber For Molds making Artificial Limbs Prostheses is a two-component warming vulcanized silicone rubber. Its mixing ratio is 1:1. We can match other colors such as flesh color and transparency according to user needs. Its surface is tinted, so a variety of colorful silicone products are made. It can be used to make artificial human face molds, imitation of human limbs and so on. This Liquid Silicone Rubber For Moldsmaking Artificial Limbs Prostheses is a two-component warming vulcanized silicone rubber. Its mixing ratio is 1:1. We can match other colors such as flesh color and transparency according to user needs. Its surface is tinted, so a variety of colorful silicone products are made. It can be used to make artificial human face molds, imitation of human limbs and so on. 1 This product has reached the environmentally friendly food grade, passed SGS environmental certification and FDA food certification. 2 It can be used in high and low temperature environment, stable and non-deformable at -50~250 °C. 3 This kind of silica gel is non-corrosive, non-toxic and tasteless, and has no harm to the human body. 4 It has strong tear-resistant tensile strength and is resistant to water washing and will not break during the cleaning process. 5 It is weather resistant, aging resistant and can be used for a long time. 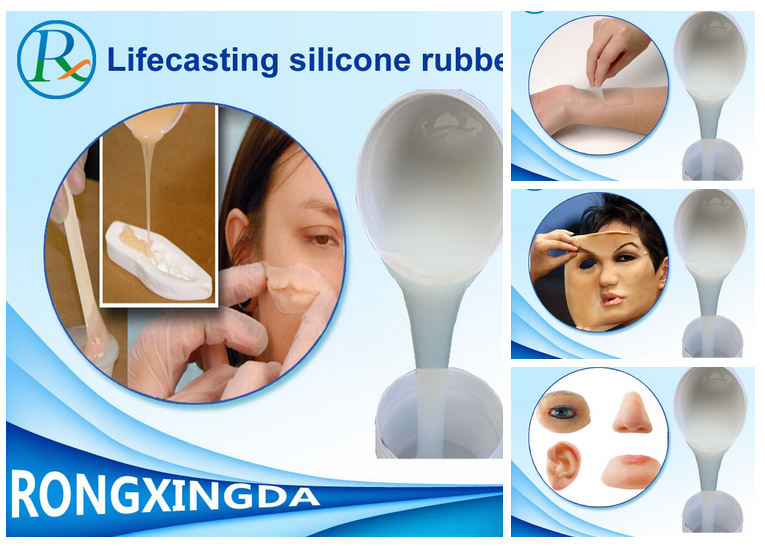 The human body Soft Liquid Silicone Rubber should not be in contact with any other condensation type silica gel, otherwise it will cause the curing agent to be poisoned, resulting in the phenomenon that the silica gel does not vulcanize.